The distinction between "genuine" refugees and economic migrants is being seized upon as countries, weary of playing the good Samaritan, are now pushing to prevent asylum-seekers from reaching their soil in the first place. Since last summer, Italy has alsoclamped down on humanitarian operations by detaining rescue vessels on charges ranging from illegally aiding migrants to not being properly registered. 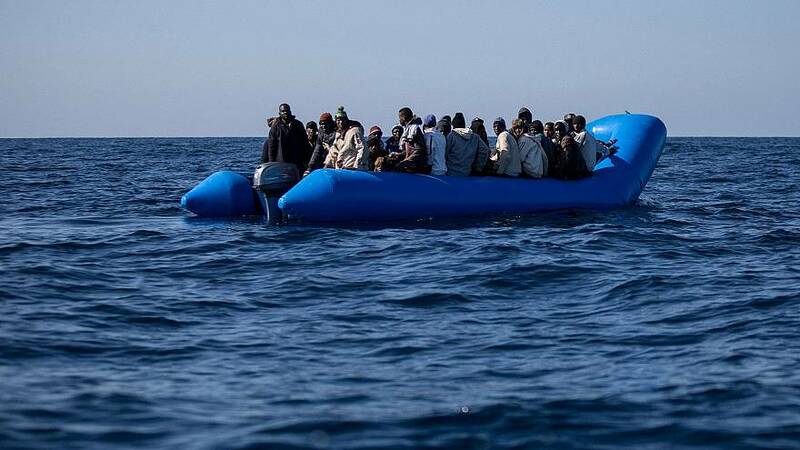 That has resulted in fewer boats searching for people in distress — with no rescue vessels sometimes operating in the central Mediterranean Sea. The language used by some governments to refer to asylum-seekers has also been shifting in recent months. Italian Deputy Prime Minister Matteo Salvini, who also serves as interior minister and who is a member of an anti-immigration populist party, has railed against "fake refugees." Sajid Javid, Britain's interior minister, last month questioned whether people attempting to cross the English Channel from France to the U.K. were "genuine" refugees. "You are coming from France, which is a safe country. In almost every case you are claiming asylum in the U.K. but if you were a real, genuine asylum-seeker then you could have done that in another safe country," he told reporters. In recent days, Italy refused to allow migrants to disembark after being picked up in the Mediterranean Sea by the Dutch-flagged Sea-Watch 3 rescue ship. For 10 days, 47 people were forced to wait for a European country to blink first and open its ports. The standoff ended this week when eight countries — including Italy — agreed to take in the migrants. However, the breakthrough came only after the Netherlands refused an Italian request to accept the ship. Italy is responsible for handling asylum claims for migrants who reach its territorial waters, but in the past the Netherlands and other countries have taken, on a case-by-case basis, some of those aboard ships refused harbor. The Netherlands also said there was a need to distinguish between genuine refugees and economic migrants. "Those who are not entitled to protection must be refused and returned immediately after arriving at the European external border," Dutch Migration Minister Mark Harbers said in a statement. But by closing its ports to rescue vessels, Italy creates a conundrum about who will take them in. On each occasion so far, either one state has come forward or the E.U. has cobbled together a coalition of nations prepared to accept them. 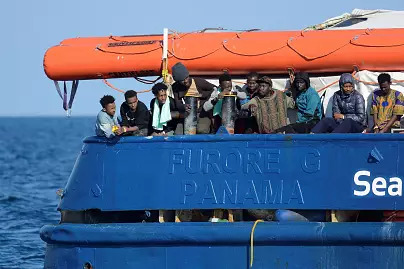 But experts say the Netherlands isn't the only European government losing patience with Italy's refusal to take in migrants rescued from the Mediterranean. The leaders of other E.U. countries are becoming reluctant to hand Salvini "a win" in terms of his populist agenda, according to Luigi Scazzieri, a research fellow at the Centre for European Reform, a pro-European think tank based in London. Domestic politics is also playing a role as far-right and anti-immigrant views gain ground across much of the continent. Nando Sigona, a researcher in migration at the University of Birmingham in England, said the Netherlands' request to distinguish between refugees and economic migrants at the edge of the continent illustrated the hardening attitude toward newcomers across Europe. "There is more and more emphasis that those who travel to Europe are economic migrants, as if they were real asylum-seekers they would have stayed in the conflict region and claimed asylum" in the first safe country they arrived in, Sigona said. According to the United Nations, a refugee is someone who is "unable or unwilling to return to their country of origin owing to a well-founded fear of being persecuted" and has the right to asylum in another country. In a three-year period ending in 2017, 2.66 million people claimed asylum for the first time in the E.U. — with 1.4 million given the status, or around 53 percent. Michael Collyer, an expert in migration at the University of Sussex in England, said the Netherlands, in deciding to stop accepting migrants who under E.U. law should be dealt with by Italy, was sending Rome a message. "The European external border is Italy," Collyer said. "It's Italy's responsibility, that it's nothing to do with the Netherlands."